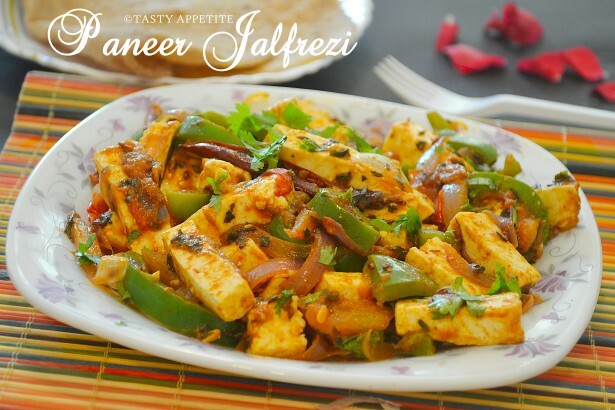 Today’s recipe is a fabulous restaurant style curry with hearty chunks of paneer.Paneer Jalfrezi is a hot & spicy colourful dish packed with goodness of crunchy bell peppers, soft paneer and distinctive flavors of Indian spices. It can be cooked easy and quick in the comfort of your home by following this step by step photo recipe. It makes a perfect stuffing for kathi rolls or wraps and also goes very well with...rotis & parathas. 1. Wash and slice paneer to lengthwise. 2. 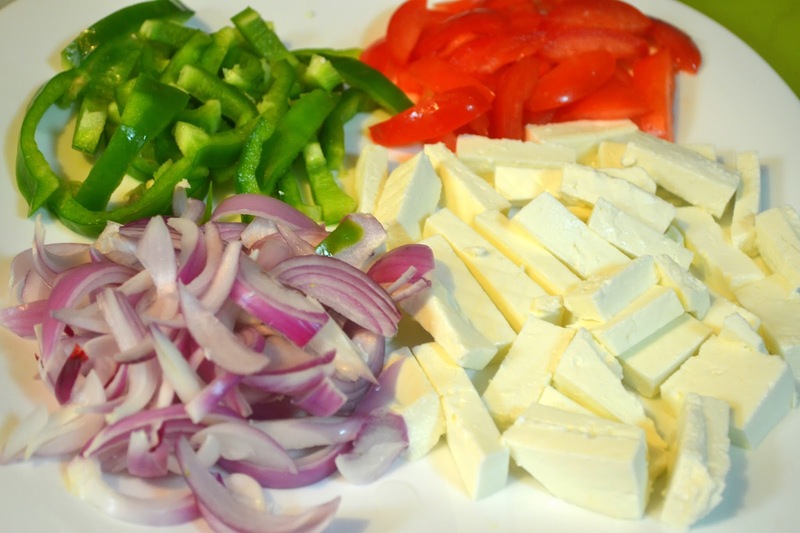 Also slice onion, tomato and capsicum to lengthwise pieces. 4. Add cumin seeds and wait to splutter. 5. Add grated garlic and saute till it browns. 6. Now add onions and red chilly. 7. Saute for a minute. 8. Sprinkle crushed kasoori methi leaves. 9. Add ginger garlic paste and saute well. 10. Now add the sliced tomato and capsicum pieces. 11. Add the turmeric pwd, kashmiri red chilly pwd, jeera pwd and salt. 13. 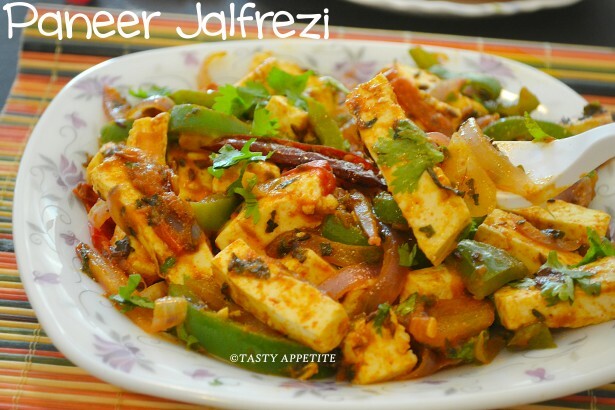 Now add the sliced paneer cubes. 14. 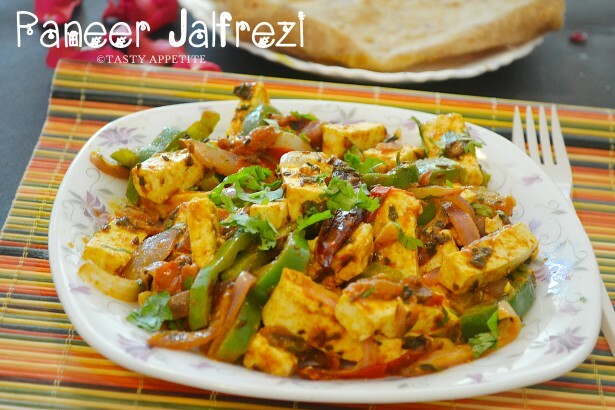 Give a good toss, so that the paneer cubes are coated well with the masala. 15. Reduce the flame and cook covered for 5 mins. 16. Squeeze few drops of lemon juice. 18. 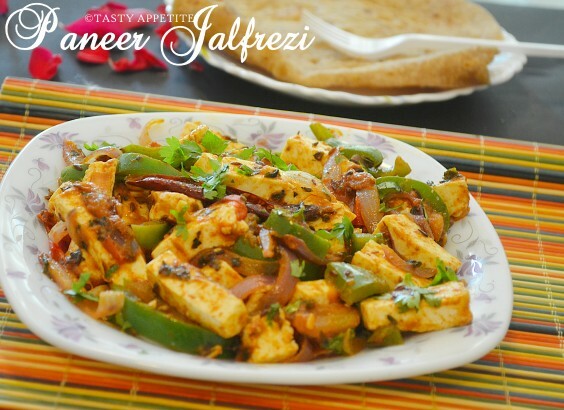 Lipsmacking Paneer Jalfrezi ready to serve. 19. Transfer to serving plate. 20. Enjoy hot with roti, phulka, chapatti, paratha or any Indian breads.